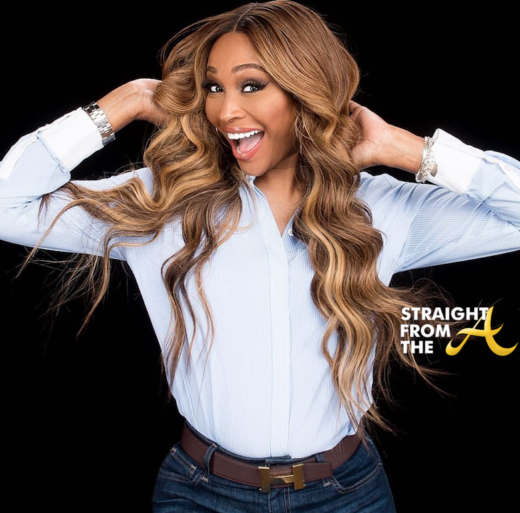 The Real Housewives of Atlanta aired the 2nd episode of it’s 11th season last night (November 11, 2018). 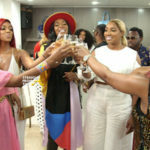 This week’s episode is titled ‘South Peach’ as Porsha Williams orchestrates a girl’s trip to Miami in support of Nene Leakes. 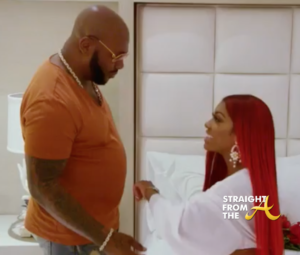 Porsha continues to enjoy her romantic birthday weekend with Dennis, but the honeymoon phase comes to a halt after a “brush” with danger. Kandi, Cynthia, Eva, and Marlo touch down in Miami ready to surprise NeNe as she hits the comedy stage for the first time since Gregg’s diagnosis. 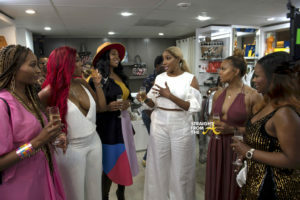 As the ladies come together to support NeNe, Kandi realizes she may know a thing or two about one of the ladies’ new man. 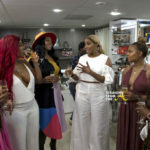 The women celebrate the grand opening of NeNe’s new Swaggalicious boutique – but their shopping spree is cut short when Gregg falls ill. Welcome to ‘The Porsha Show’! I dunno about you, but I would be remiss not to mention that Porsha Williams has been given a substantial amount of screen time this season. 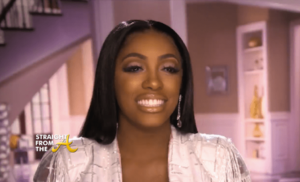 Porsha’s new relationship is a primary focus as she’s anxiously awaiting her engagement ring. 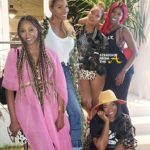 It seems that Williams is now ‘Switzerland’ when it comes to the ladies as she orchestrates their bonding session in South Beach Miami. Porsha is in charge of the travel details and ensures that each of the ladies is set up with a great hotel room. Meanwhile, her new boo gifts her with a Rolex and a diamond pendant. 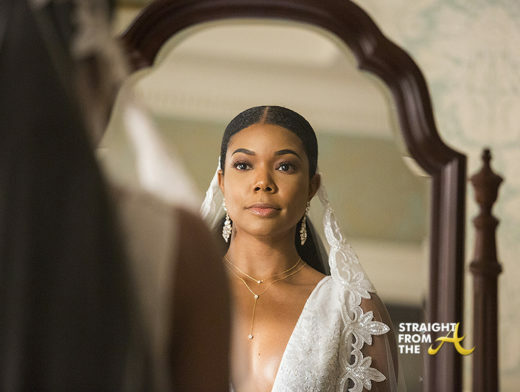 No ring… yet. It’s totally ok to share your mate’s toothbrush. At least according to Porsha! 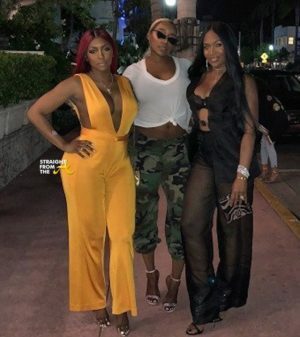 Porsha was first to arrive in Miami as it’s her birthday weekend and she’s spending it with her new love, Dennis McKinnley, but it seems Williams has forgotten a few necessities, i.e. a toothbrush and an ‘underarm shaver’. As Porsha rushes to get ready, she nonchalantly requests Dennis’ toothbrush… I mean… they share EVERYTHING right? So what’s a lil oral hygiene and tartar control between the two of them? 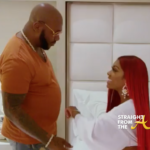 Dennis doesn’t seem to pleased with the request but Porsha shrugs it off as if it’s an everyday occurrence. Whatever the case, now we know that Porsha has no problem sharing. Marlo is in the business of being seen and that’s clearly not a problem this season. 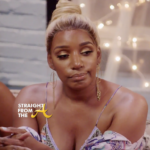 The infamous background character has now made amends with Porsha and since it’s ‘the Porsha Show,’ Marlo has secured peach holder screen time without the check. 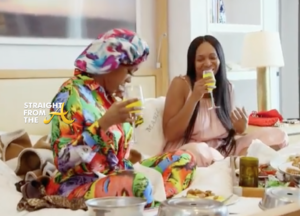 Hampton seems offended that she’s assigned the smallest room out of the group (even though she’s not a main cast member), so she takes over Porsha’s suite. The ‘takeover’ wasn’t really mean spirited but Marlo earns a side-eye for even trying. 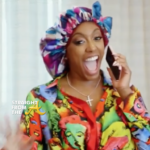 It’s all fun and games until Porsha sees Marlo’s toothbrush!!! Fortunately Williams thinks twice about the toothbrush, but she does help herself to Marlo’s designer goods. The two share a good interaction and it’s great to to seem them getting along. 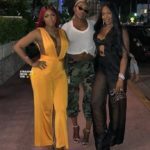 Nene even shares how Marlo and Porsha have a lot in common and are more alike than different. I can see that. 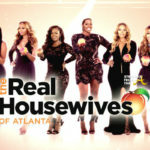 Hell, Marlo loves men with money and Porsha does too! Meanwhile, it seems as if Marlo has just snatched up a front row seat while Eva and Cynthia are regulated to mere ‘friends’ of the show. There’s a lot of low-key shade being thrown this season from Eva the Diva! While we haven’t really seen a whole lot of her, she’s managed to shade both Cynthia and Marlo in her confessionals. Cynthia received the bulk of it as Eva keeps calling her out for being a aging model, while Marlo’s fashion sense was questioned in a later confessional. 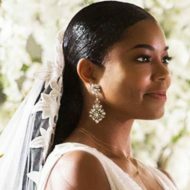 The shade is totally lightweight for now, but it will be interesting to see if Eva’s comments begin to intimidate Cynthia. 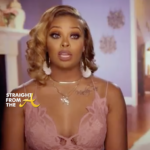 As if we didn’t already know about Kandi and her grudges, it’s evident that she still feels ‘somekindaway’ about Porsha. 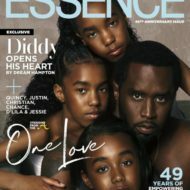 While Williams has moved on and is clearly in a different space, Kandi is harboring resentment and her energy is totally a bit standoffish. She even seems to diss Marlo in the scene on the roof, opting crowd on the couch next to “her friend” Cynthia instead of sitting near Hampton. 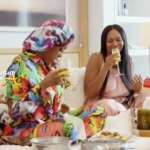 It’s the little things that we all notice that can lead one to believe Kandi is still holding a grudge… like the Facetime with Todd where she reveals she knows tea about Porsha’s new boo. I predict that Kandi will be the ‘bitter Betty’ this season while most of the ladies are enjoying the new positivity. 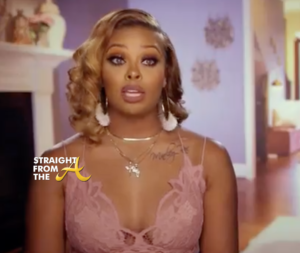 Todd tells Kandi to stay out of it, but we all know that’s not going to happen. We don’t want to see Gregg suffer through his cancer diagnosis but it’s a part of Nene’s real life story. 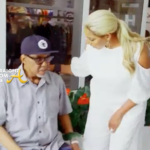 Nene seems to be holding strong for her husband, who is recovering from having a substantial part of his colon removed after being diagnosed with stage 3 colon cancer. Greg has lost a lot of weight, but his spirits are up and he’s still supporting his wife through her grand opening. Not only are the women there for Nene, but they are also there for Gregg. 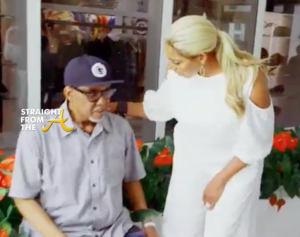 Sadly, Nene’s husband pushed himself a bit too much during the grand opening of her Swaggalicious Boutique and he was forced to leave the crowded space. 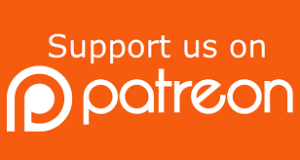 Gregg may have been a bit premature with his traveling having just come off of major surgery. 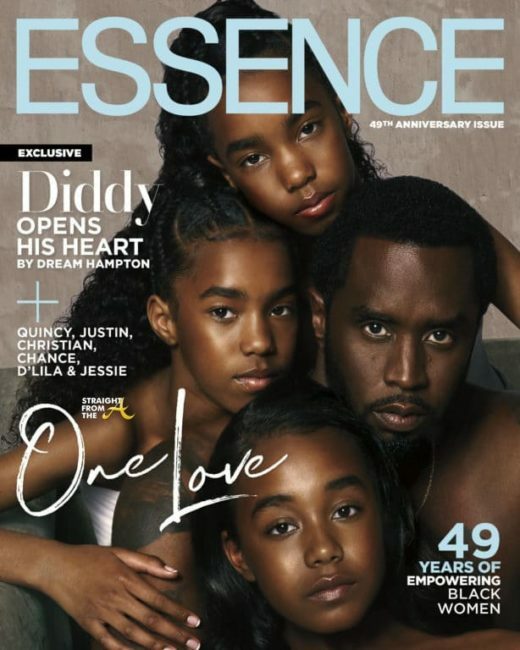 Nene tries to stay strong for her husband and the ladies all support the couple. Next week, we finally get to meet new peach holder Shamari Devoe.